China 2000 Fine Art takes great pleasure in presenting an exhibition of recent works by Roger Chung. 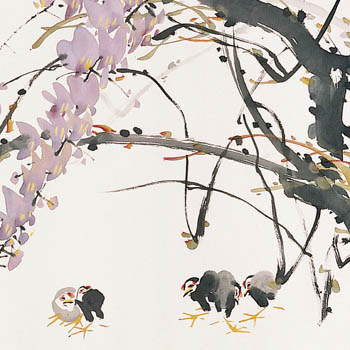 This exhibition of thirty traditional Chinese paintings will be his first solo exhibition in thirty years. Click here for artist's biography and paintings. A catalogue is available upon request. China 2000 Fine Art is located at 5 East 57th Street in Manhattan. The gallery is open Monday to Saturday, 10 am to 6 pm.